I suggested that confabulation might emanate from a general tendency for producing narrative explanations which itself has a range of benefits. I think there might be considerable social and psychological benefits to such a tendency. But there is also evidence to suggest that various forms of narrative construction and story-telling can actually aid cognitive functioning and information retention. I argued that whilst our narrative tendency can produce fabrications which depart from reality, it also gives us a means for preserving information that we cannot so easily do when we don’t recruit narrative forms, and so we can think of this tendency as epistemically innocent. 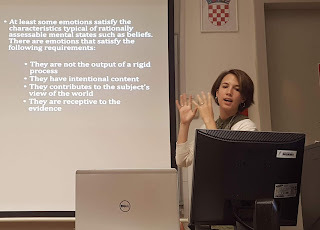 Next, Valeria Motta and Matilde Aliffi headed into uncharted waters for the notion of epistemic innocence, thinking about it in the context of emotions, and asking specifically whether there are any epistemic benefits to the emotion of loneliness. They first gave their account of how we should think about loneliness: as a painful subjective emotional state occurring when there is a discrepancy between desired and achieved patterns of social interaction. First, we need to know whether emotional states such as loneliness are rationally assessable. Matilde and Valeria convinced us that at least some emotions can be because they have intentional content, are receptive to evidence, and shape the subject's view of the world. They argued that loneliness may be considered irrational when a subject feels lonely even when she has evidence that social interactions are available to her. 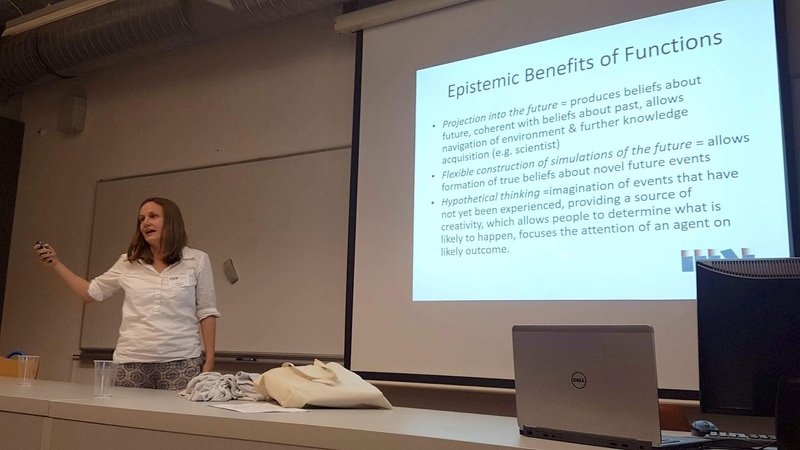 They moved on to defend the position that even the cases that could be deemed irrational, present a number of epistemic benefits. Some people who experience loneliness can also experience an enhancement of self-knowledge, because they recognise the basic need for human contact and meaningful social relations. 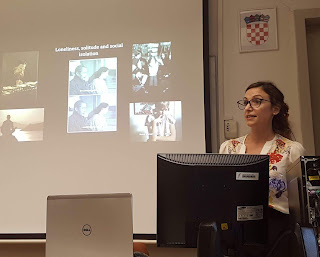 Valeria and Matilde argued, further, that there are cases of loneliness which are epistemically innocent, yet practically beneficial, because they foster the subject's motivation to explore new and creative possibilities to connect with people. 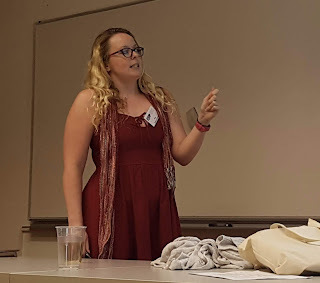 Ema Sullivan-Bissett was next up, applying the notion of epistemic innocence to the debate between one-factor and two-factor theorists as regards monothematic delusion formation. Empiricists about monothematic delusion formation agree that anomalous experience is a factor in the formation of these attitudes, but disagree markedly on which further factors (if any) need to be specified. (One-factor theorists think not; two-factor think so). Ema’s aim was not to resolve this debate, but to show that regardless of where you stand on it, epistemic innocence can be thought of as a unifying feature of monothematic delusions, insofar both opposing empiricist accounts can agree on the epistemic innocence of this class of attitudes. This constitutes a new application of the concept of epistemic innocence, showing that the notion allows us to tell a richer story when investigating the epistemic status of monothematic delusions, one which resists the trade-off view of pragmatic benefits and epistemic costs. Though monothematic delusions are often characterised by appeal to their epistemic costs, they can play a positive epistemic role, a fact that, Ema argued, is independent of the characteristics of their formation, and as such is a conclusion which all empiricists can agree upon. 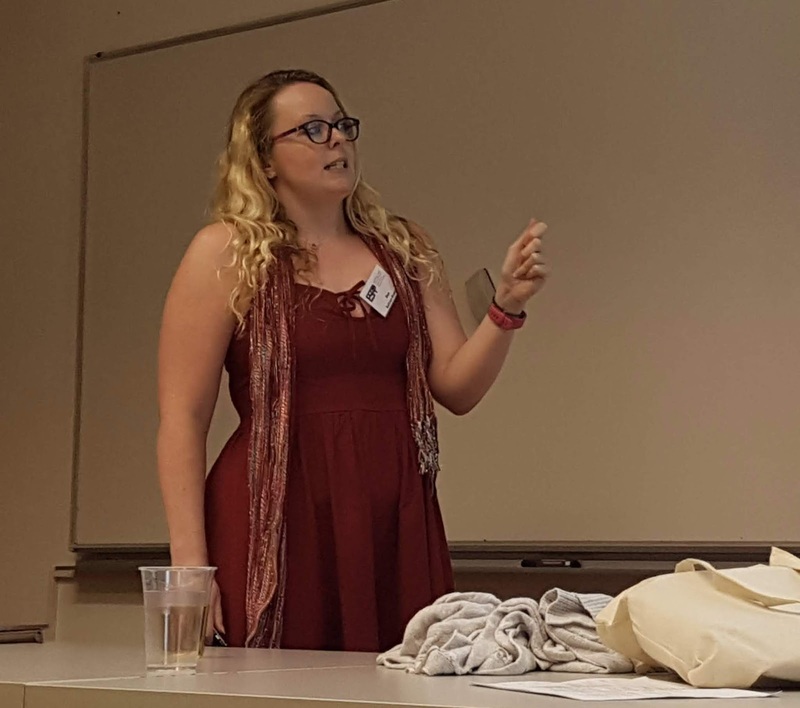 Kathy Puddifoot concluded our symposium presentations, taking the notion of epistemic innocence beyond the academy and research lab, to inform policy and practice out in the world – and an important bit of the world at that – the court room. Kathy first recruited findings from psychology which establish that eyewitnesses are susceptible to the misinformation effect: this is where people recollect that they experienced an event in a way that is consistent with information provided to them after the event itself. 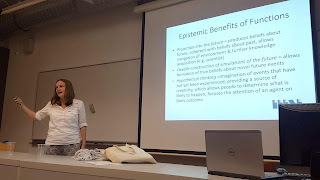 Kathy argued that the misinformation effect is produced by cognitive mechanisms that are epistemically innocent: although the mechanisms produce errors, Kathy maintained that they also bring substantial epistemic benefits in so far as these mechanisms underlie broadly successful remembering in the first place. Kathy suggested that eyewitnesses can make errors when testifying due to the ordinary operation of these cognitive mechanisms that in general increase the chance of them providing correct details about a criminal case. However, jurors are likely to judge the errors that result from the misinformation effect to indicate that the eyewitness is generally unreliable. Kathy then made the case for informing jurors about the psychological findings on the misinformation effect to help them better understand the kind of errors witnesses are likely to make, and that our cognitive shortcomings do not mean we are wholly unreliable rememberers. So, there we have it: the notion of epistemic innocence prompting us to think about our narrative tendencies; the epistemic import of seemingly irrational instances of loneliness; as a means to find common ground between one-factor and two-factor theorists about delusion formation; and to potentially instruct jurors to help them better judge the reliability of eyewitness testimony. What other applications might epistemic innocence have?